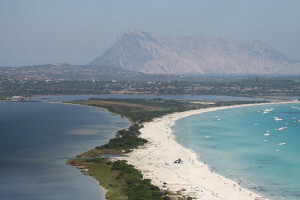 In the middle of a big park “Camping San Teodoro” stands facing the beautiful sea of Sardinia. 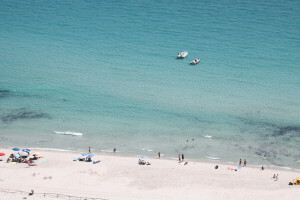 The long white sandy beach and the clear shallow water is ideal for children. 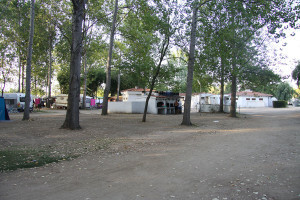 The campi is equipped with market, bar, telephone, hot showers and drinking water without limit. There are also 5 stone bungalows with 4 beds and bathroom. San Teodoro is situated on the Sardinian north east coast, in one of the most interesting and beautiful parts of Gallura, only 25 minutes by car from the airport and port of Olbia. Today San Teodoro is one of the most popular and well known tourist sites of the island, highly efficient in taking care of it’s visitors. 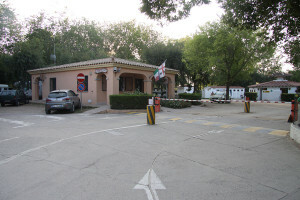 There are plenty of hotels and various shops ready to satisfy the requests of their demanding clients. 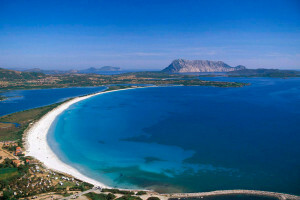 The coast of San Teodoro is about 35 kilometers long with while white sand beaches and lonely bays. The water is magnificent, clean und crystal clear. L’Aldia Bianca, Punta Molara, Capo Coda Cavallo, Marina di Lu Impostu, Punt’Aldia, La Cinta, Cala d’Ambra,L’Isuledda are some of the most famous beaches in Sardinia. The environs are various with hills, plains and mountains surrounding San Teodoro like an amphitheatre.